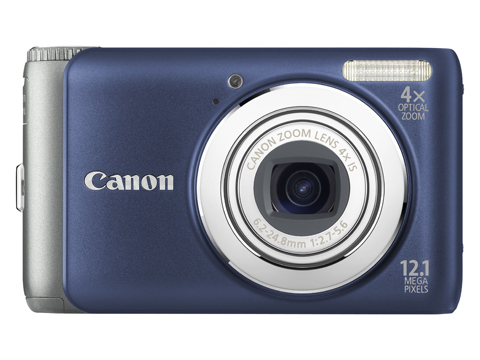 Canon will next month debut four new PowerShot digital compacts, the A3100 IS, A3000 IS, the A495 and A490. The A3100 IS (pictured), priced £189, packs in a 12.1-million-pixel sensor, while the A3000 IS features 10MP resolution. On board both is a 2.7in LCD monitor. Meanwhile, powered by AA batteries, is the PowerShot A495 and A490 which each boast 10MP resolution and a 2.5in LCD screen. All four models feature i-Contrast technology, designed to ensure that light or darker areas are captured ‘in detail’ in the final image. The A495 (priced £139) also includes a ‘Poster Effect’ and ‘Super Vivid’ mode. The newcomers also include VGA resolution video. The A490 and A3000 IS will only be sold in the UK through Argos stores. UK prices have not been released for these models.